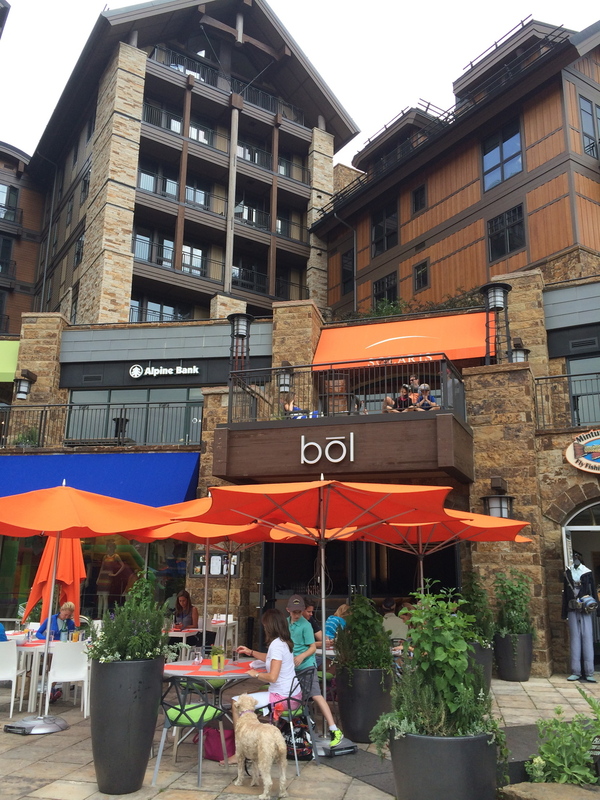 Most of the restaurants were in the immediate Vail area. 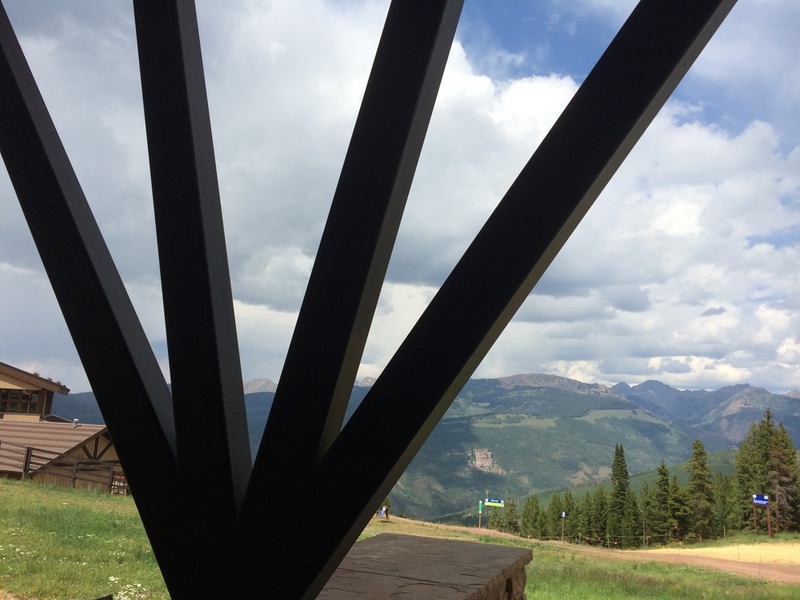 We spent a day in Breckenridge and Glenwood Springs, so I shared our experiences from those areas as well. I’m also working on a post featuring great activities to do in the area – some relaxing – some death-defying! Stay tuned! 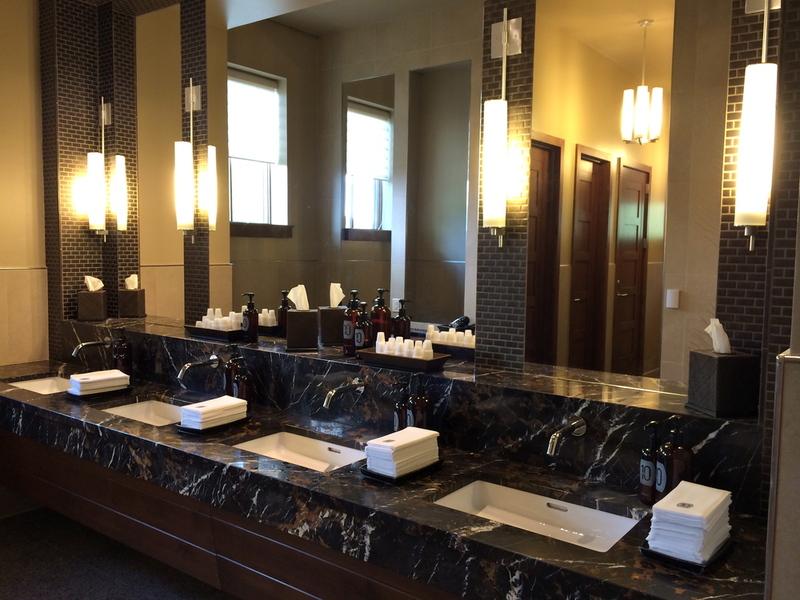 Located at the base of peak 7 inside the Grand Lodge. Park in the lots at the gondola base and take the free ride up the mountain. 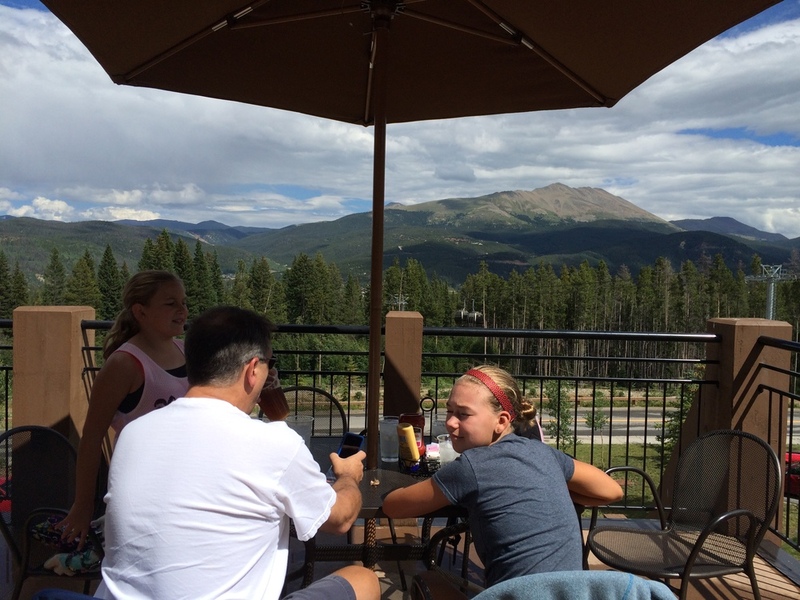 We spent the morning at The Summer Fun Park and then had a relaxing lunch on the deck at Sevens. 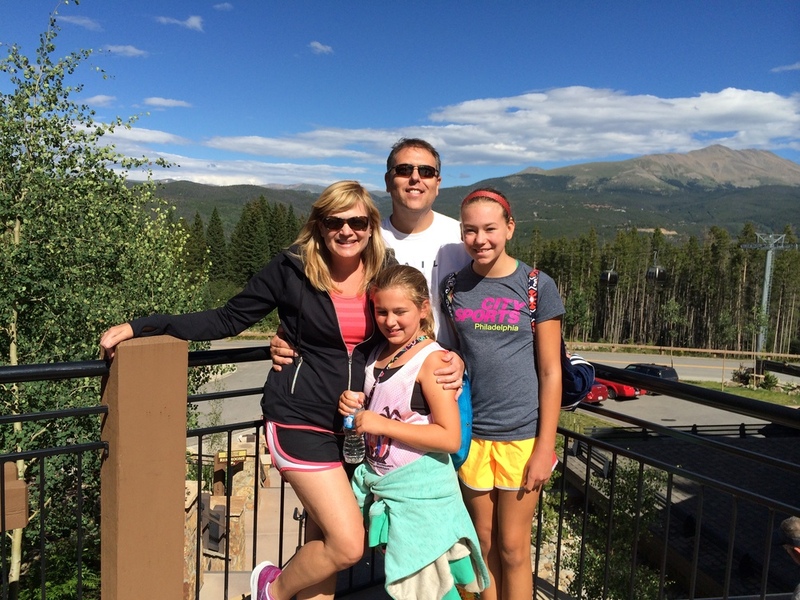 At an elevation of 10,010 ft. the views were spectacular – Great place to snap a family photo. 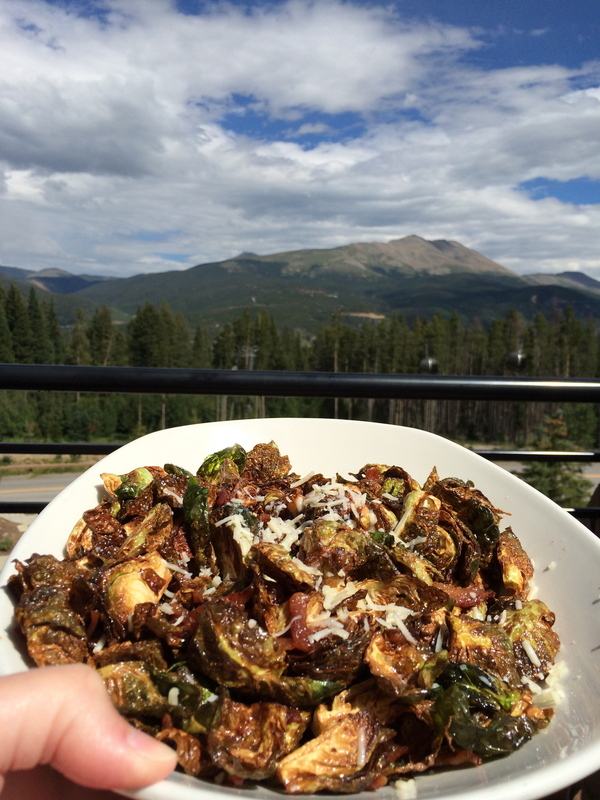 Crispy Brussels Sprouts: w/pancetta lardons, asiago cheese, lemon agave vinaigrette – We fought over every last crispy little leaf. Mac & Cheese: (Kids Menu) It was a nice gooey homemade version with gemelli pasta. 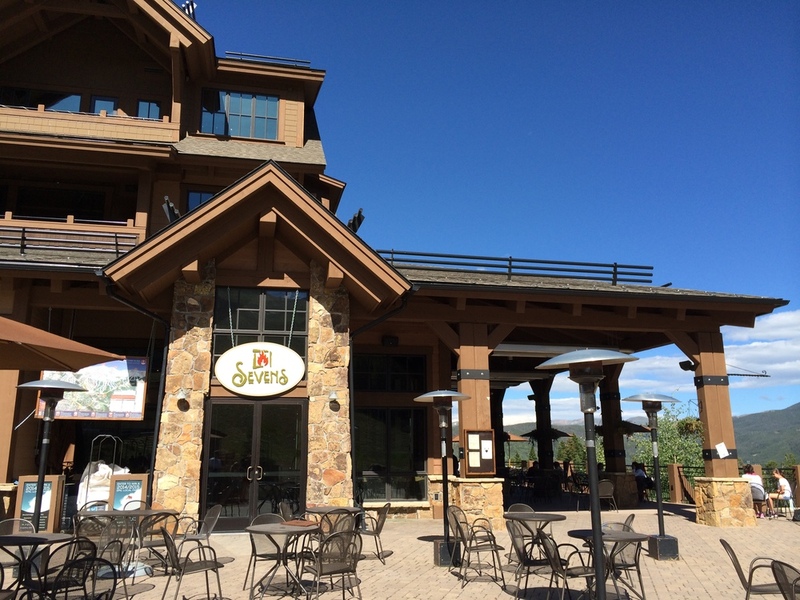 This little hang-out, part of the Moe’s Original BBQ chain which started right in the Vail Valley in 2001, is just steps outside The Landmark where we rented our condo. You can smell the smoker working its magic everyday. Moe’s is a great casual, very reasonably priced joint, where you place your order right at the end of the bar and wait for them to call your name. 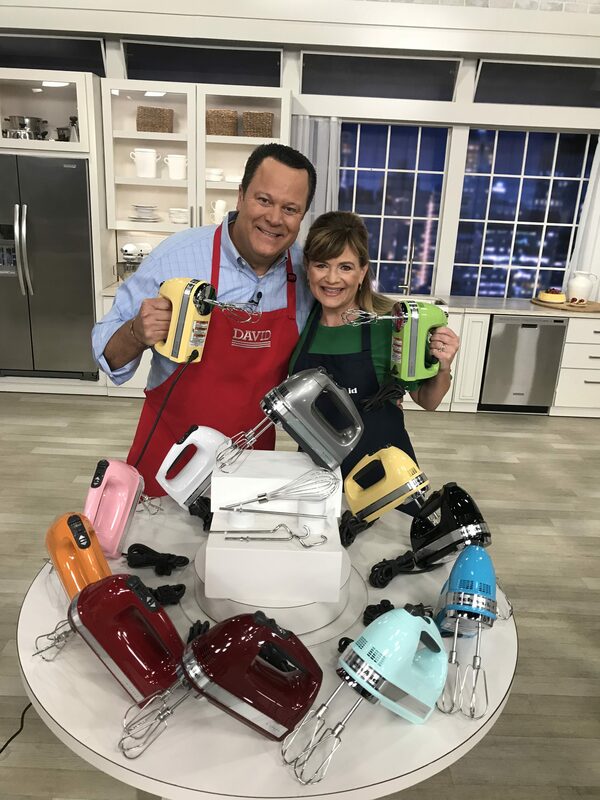 We showed up just a few minutes later than we should have because, much to my girls dismay, the mac & cheese and the banana pudding had already sold out! 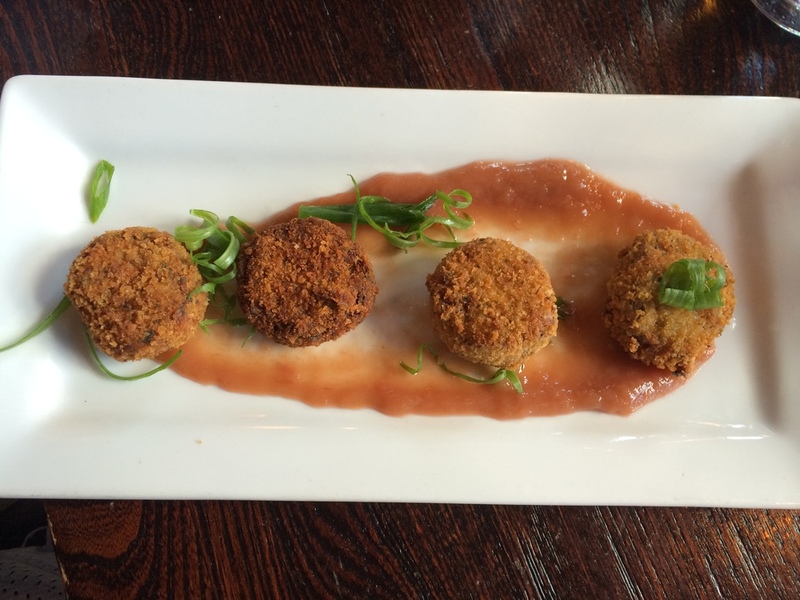 Lucky for me I scored the last order of fried green tomatoes. Yipee! We ate outside on the little deck and celebrated our first night in Vail with cold bottles of beer and some really good Alabama style BBQ. 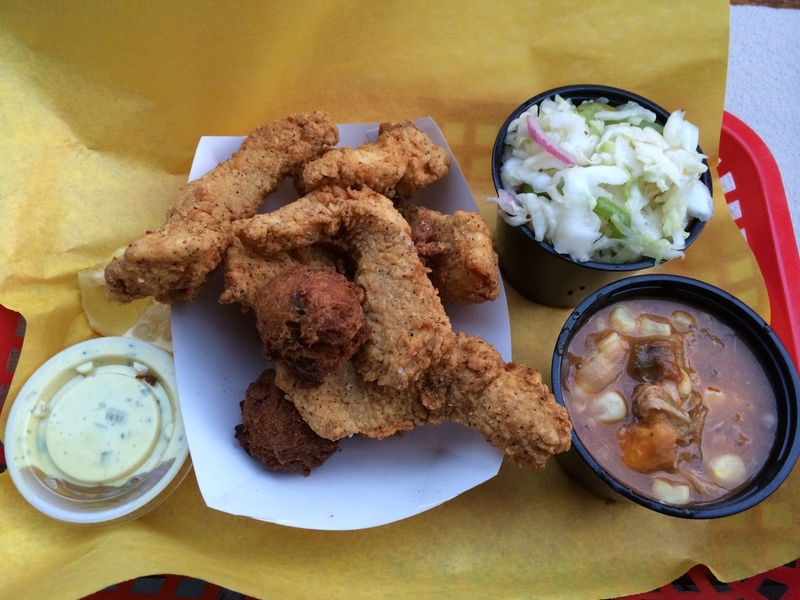 Fried Catfish w/Brunswick Stew and Cole Slaw – He loved the catfish, the hush puppies were just ok. The standout for me was the brunswick stew – yum! Chicken Fingers w/Baked Beans and Cornbread – The girls loved the cornbread and liked dipping their chicken fingers in the white BBQ sauce. 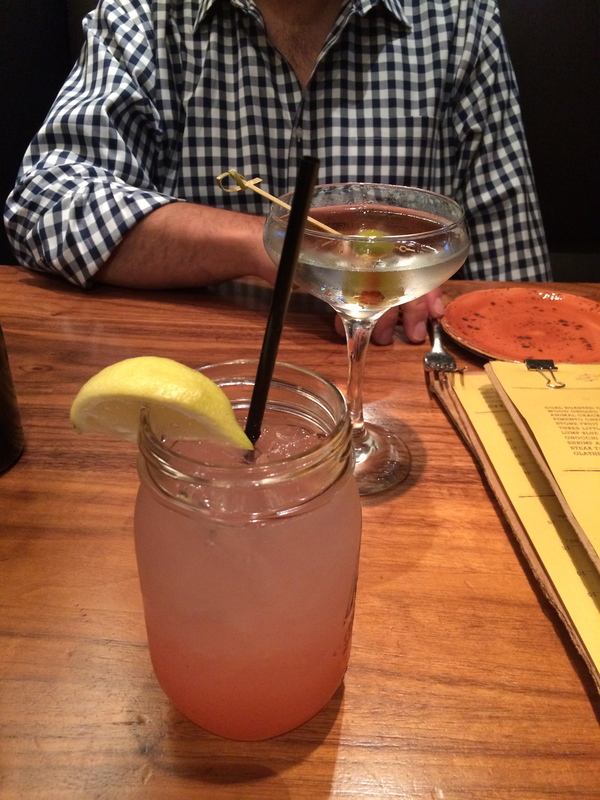 I love to try new foods & drinks and this was the perfect place to branch out. 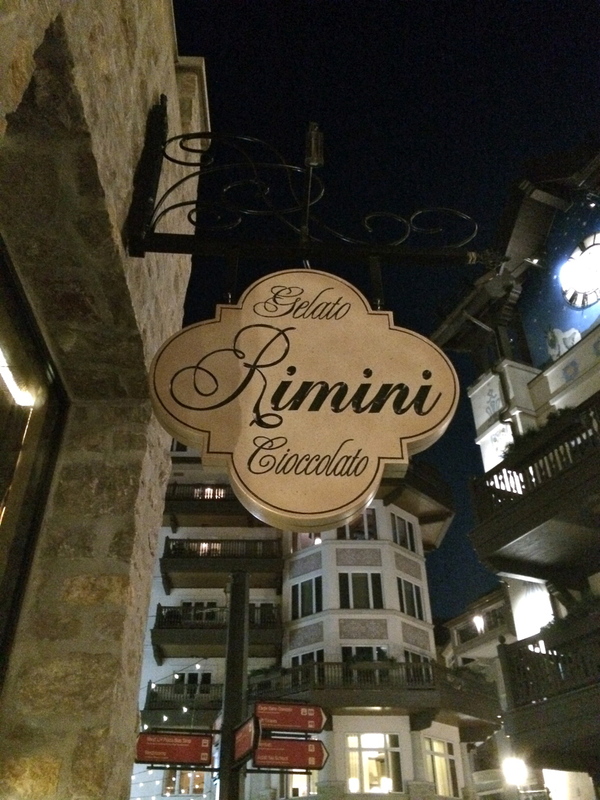 It’s a relatively new restaurant (2nd to the owners of the popular Sweet Basil) that’s located right in the heart of the Vail Village facing the Gore Creek. 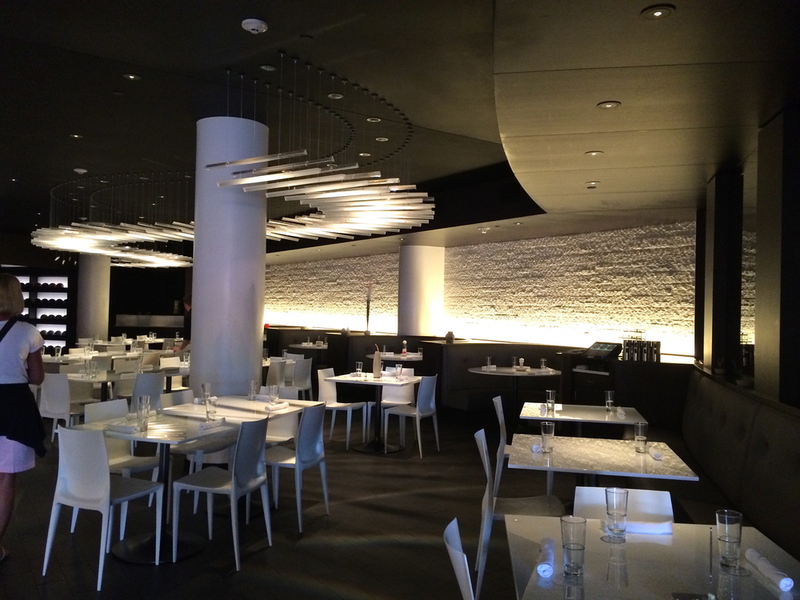 The decor and menu are casual-chic-rustic with a creative and refined touch. 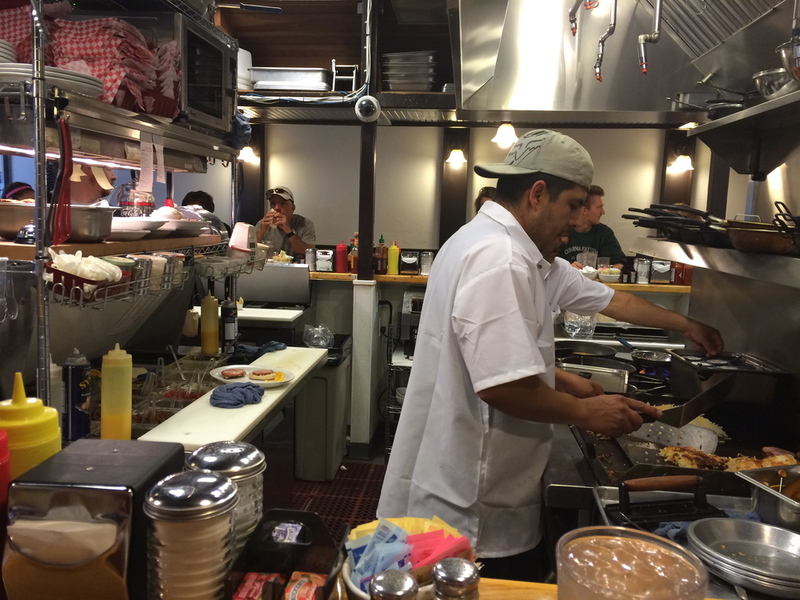 They cook most of the dishes over a wood fire in their open kitchen and there is a big focus on local fare. It was one of those places where you have such a hard time deciding what to order because you want to try it all. 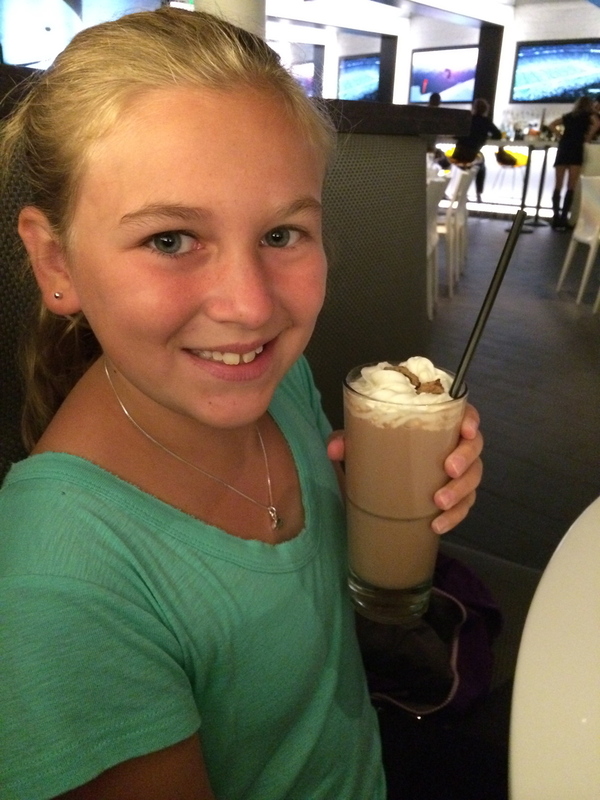 In fact, later in the week while I was on a food tour, the rest of the family went back for lunch! El Fuego – Mezcal Vago, Homemade Habanero Raspberry, Fever Tree Ginger Beer – This was a fun, spicy & sweet cocktail. Animal Crackers – starter w/Chicharron, Beef Cracklins, Crispy Pig Ears, Crispy Chicken Skin and Sriracha Lime Sauce – These seemed naughty but were so much fun! I’m a little embarrassed at how quickly they disappeared. 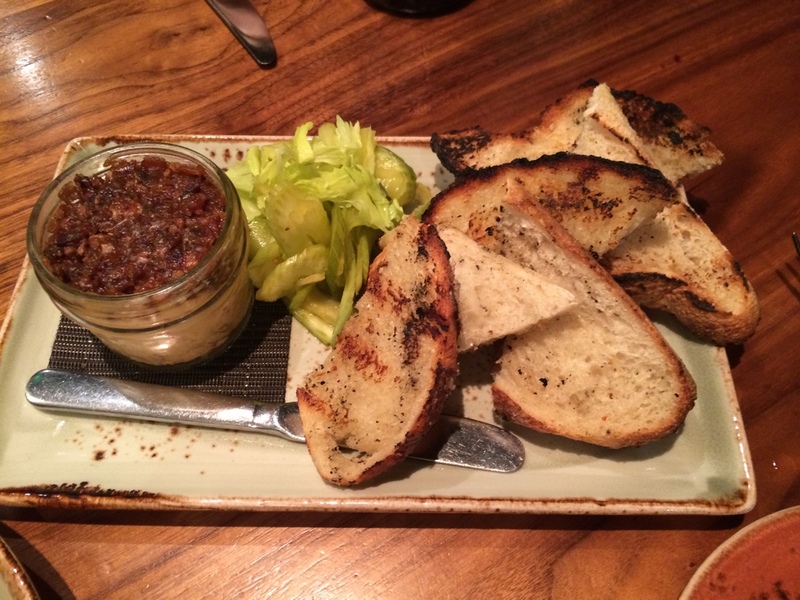 Southern Pimento Cheese – Bacon and Cider Jam, Pickled Celery, Grilled Bread – Put this on your bucket list and also I need to try pickling celery! 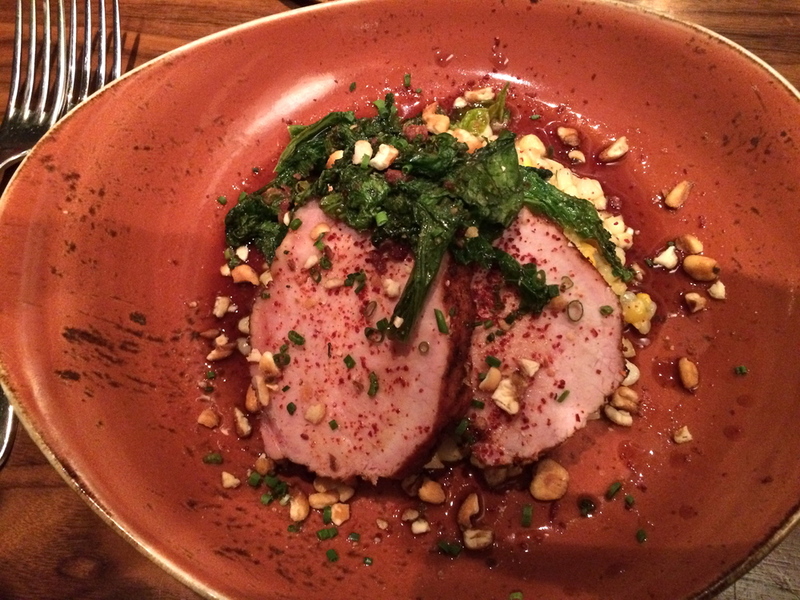 Rotisserie Berkshire Pork Loin – Creamed Olathe Corn, Mustard Greens, Ham Vinaigrette, Corn Nuts – My husband deemed this one of his best meals of all time! 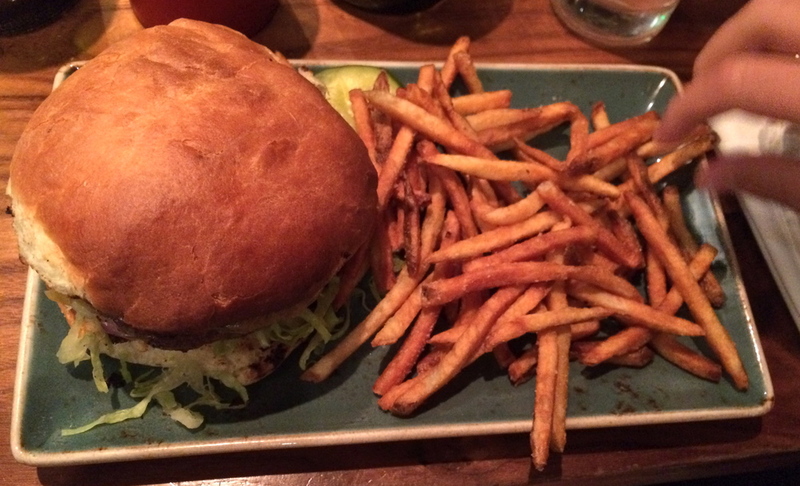 The Burger – w/cheddar, fries – I love that the kids don’t get some sub-par frozen lame burger – this was their real-deal burger and they were in heaven! I am so glad that I happened upon this tour while researching activities for our trip! 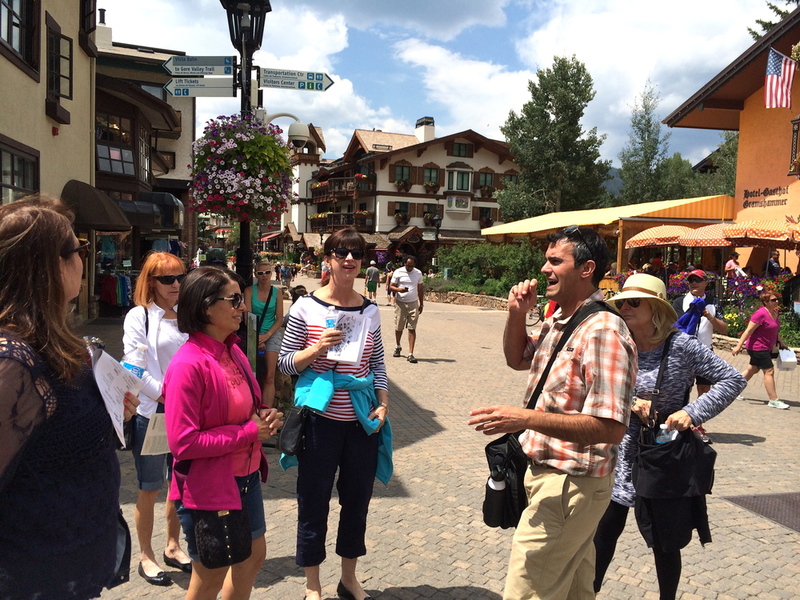 The tour guide, Matt Timmerman, lead our group on a three hour foodie field trip through Vail Village. 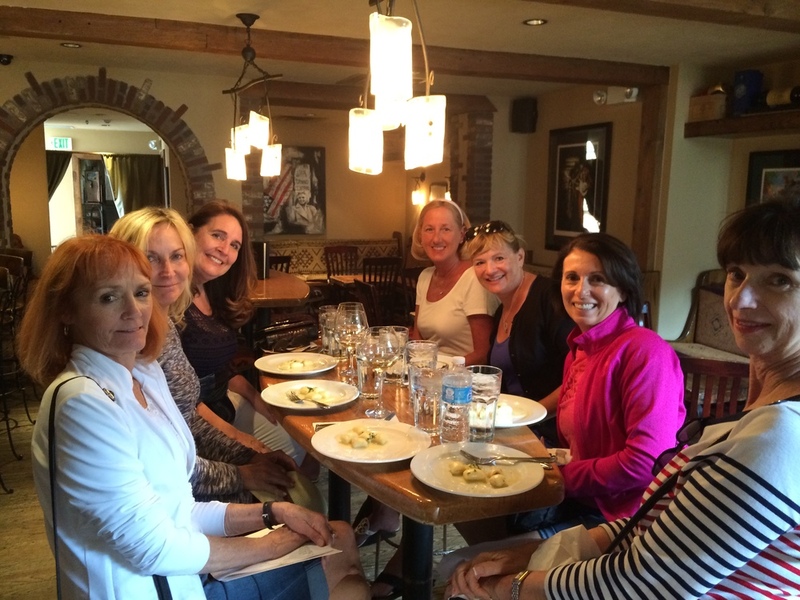 We visited 6 different restaurants/stores and learned about Vail’s history and art along the way. 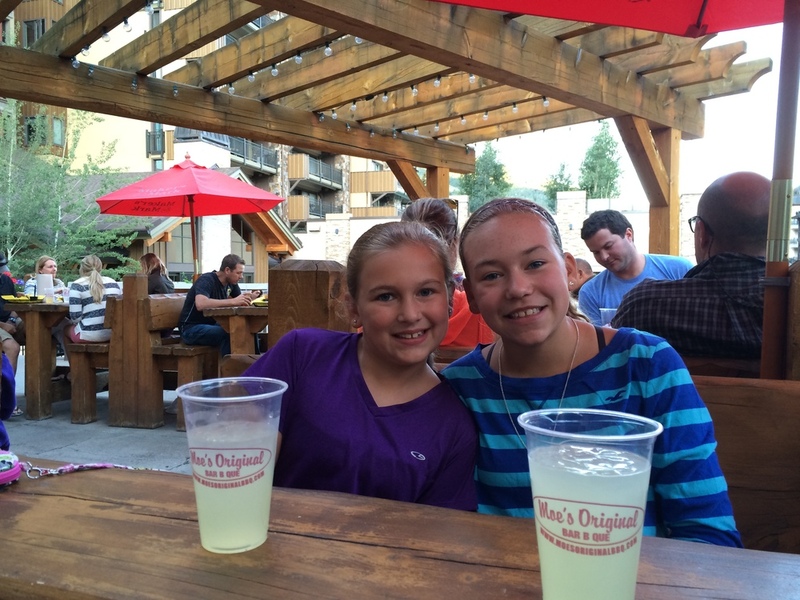 It was a great way to get a little taste of some wonderful restaurants while enjoying the beautiful mountain village. 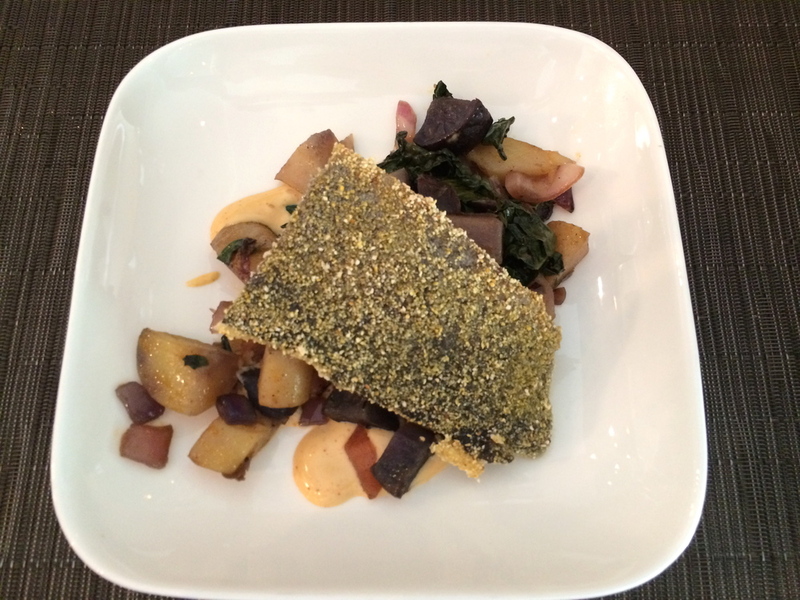 Terra Bistro – (Organic, Sustainable, Farm to Table) – Rocky Mountain Trout, Cornmeal Crust, Lemon Herb Butter, Purple Potato Hash, Grilled Kale, Chipotle Aioli – My first trout and it was delicious! La Tour – Contemporary French Cuisine – Compressed Watermelon & Burrata Cheese, apples, pickled red onion, rosemary croutons, viet herbs, aged balsamic, evoo / The Remedy: Grey Goose citrus vodka, St. Germain elderflower liqueur and cranberry juice – This was such a well balanced little taste, sweet, salty, light, creamy, crunchy and paired with a nice little cocktail – perfect! 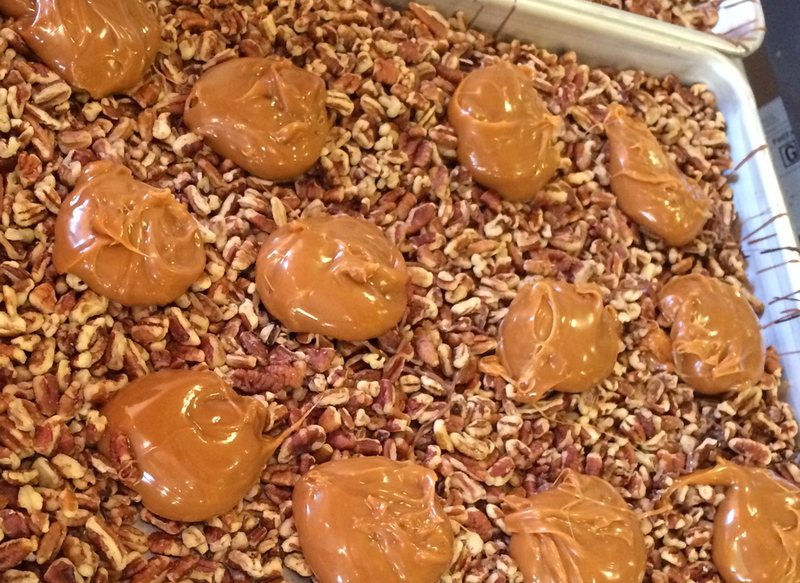 Fuzziwig’s – Gourmet Candy Store, Homemade Dark Chocolate Covered Sea Salt Caramels – heaven! 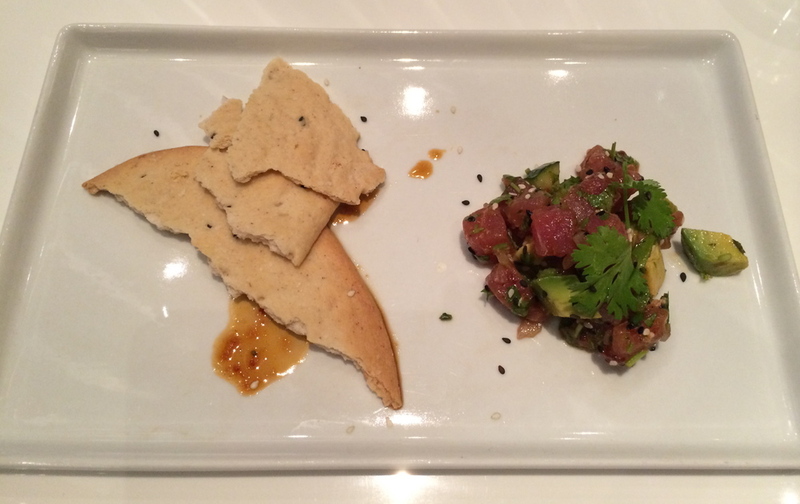 Bol – Contemporary American Cuisine / Swanky Bowling Alley – Spicy Tuna Tartare, Sesame Lavosh, Avocado, Cucumber, Tamari Soy – this was addictive and my first tuna tartare – went back for more that night! 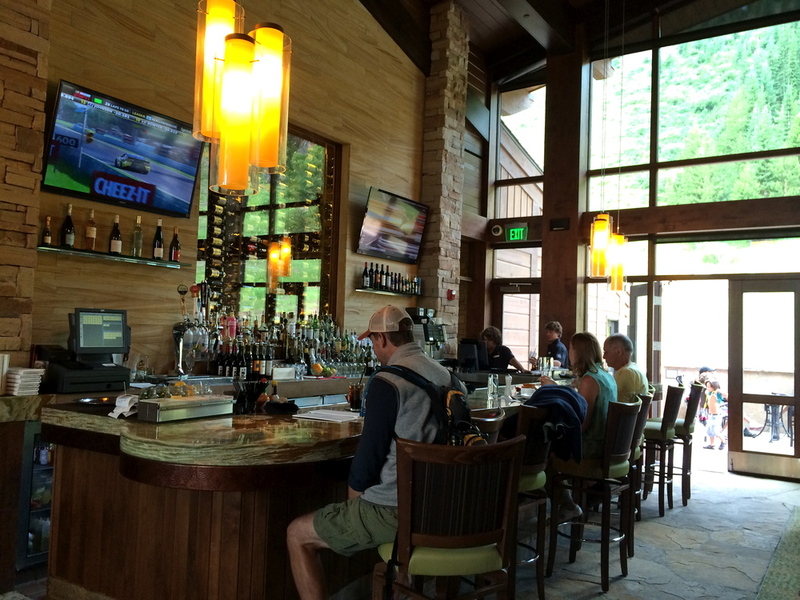 My heart was still pounding from our adrenaline fueled amusements at Glenwood Caverns Adventure Park when I sat down at The Pullman. It had never felt so good to take a deep breath, have a nice cool drink and thank God that I had survived the Giant Canyon Swing! We had met up with our good friends and Denver locals, The Nelsons, for the day and I was looking forward to this lunch. The Pullman has that kind of cool, spare, rustic vibe going on. 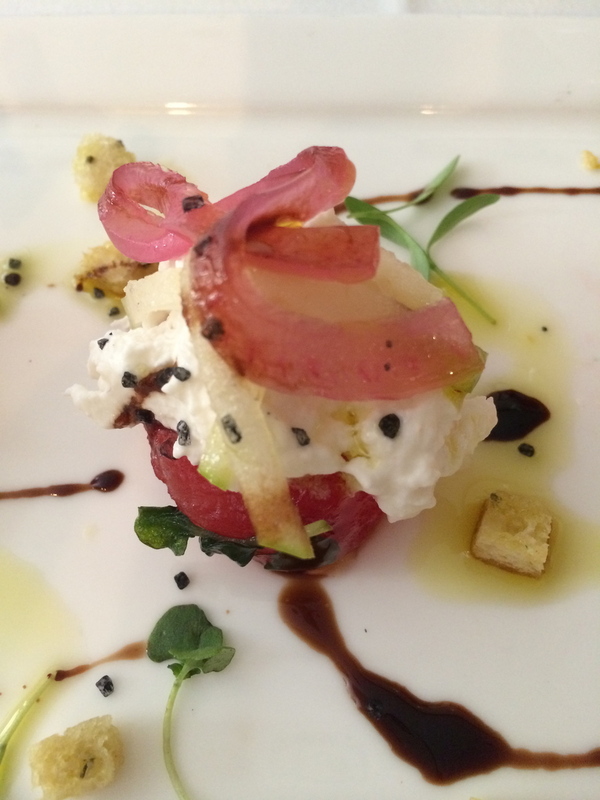 The lunch menu was filled with creative snacks, salads, sandwiches, pasta and small plates. We drank gallons of iced tea, shared some starters and waited with anticipation for our lunch plates. We had arrived later than planned for our lunch and I think we hit the restaurant right when the kitchen staff shifts were switching because the lunch plates took a while to come and one plate came much later than the rest. 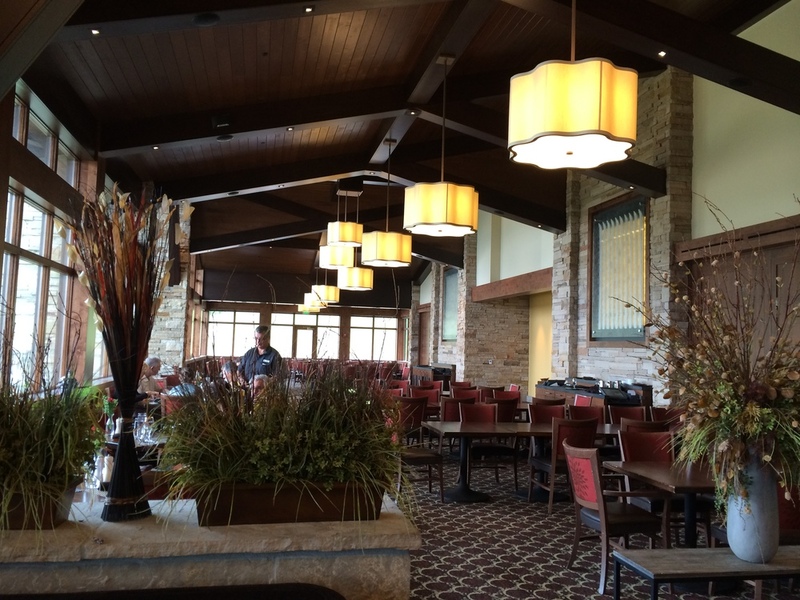 Besides a few snafus – I would eat here again in a heartbeat! There are many more menu items I would like to try! 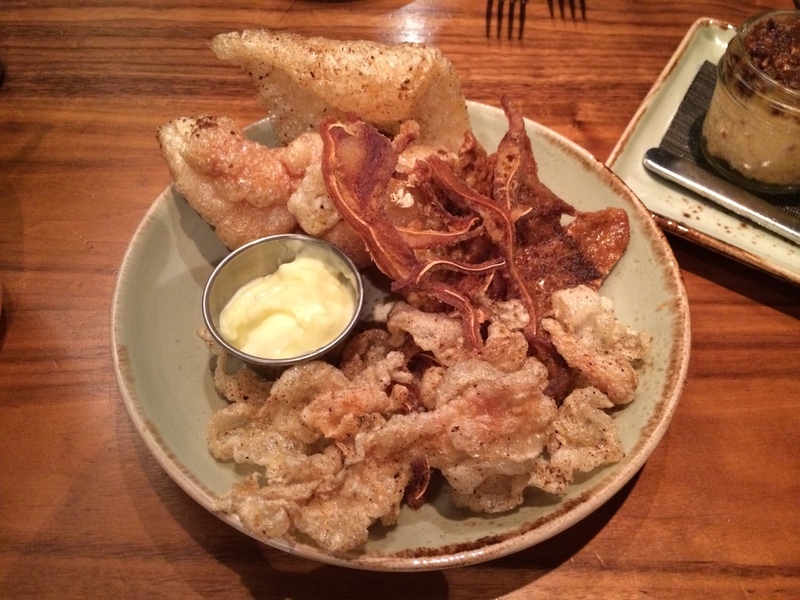 Truffled Housemade Pork Rinds – I went from never having a pork rind, to twice in a week! Woo Hoo! 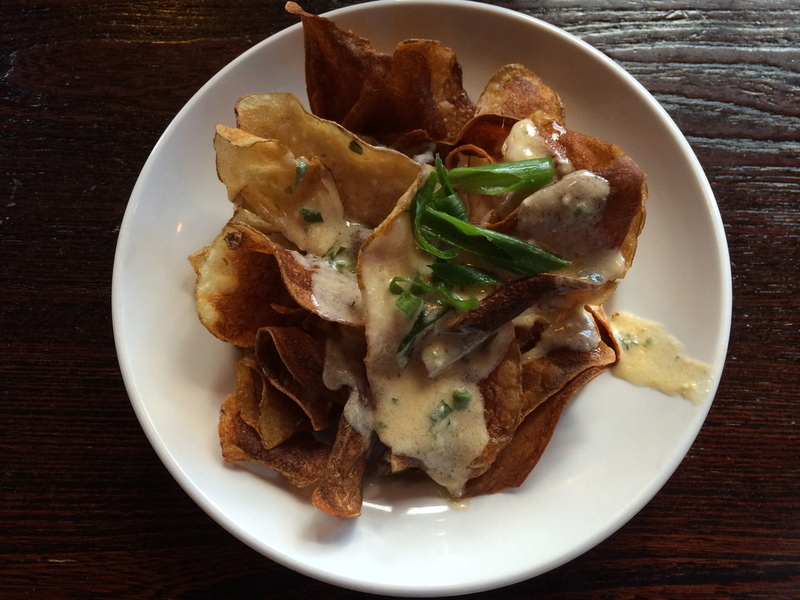 Housemade Potato Chips w/Blue Cheese Sauce – I would like to bathe in the blue cheese sauce – yum! 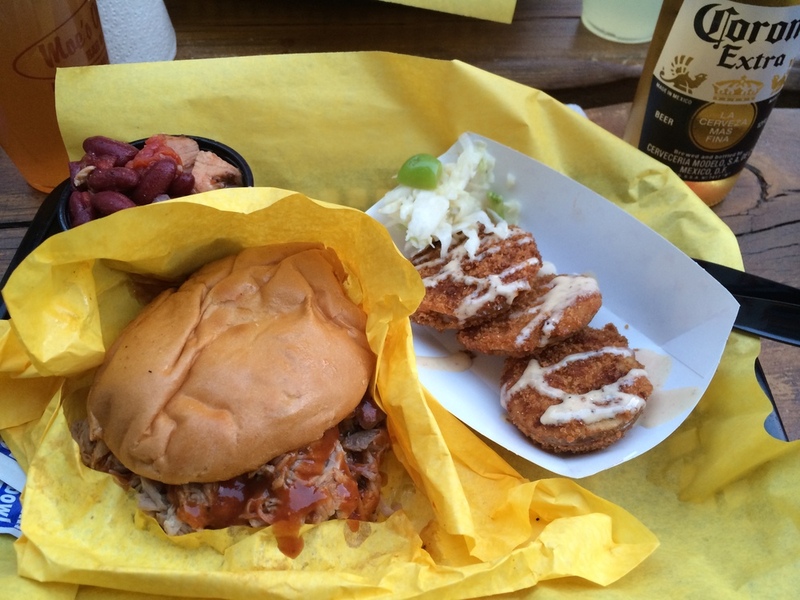 Peach Bourbon BBQ Pork Sandwich w/Smoked Tempura Fried Onions, Fontina on Telera (a Latin type of bread or roll – Googled it) – very good – the onions sold me! 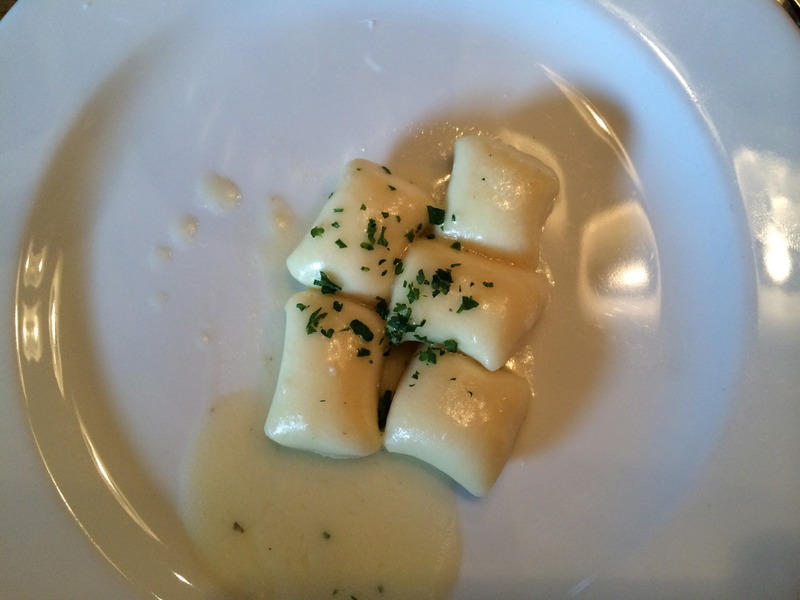 Mac & Cheese, gruyere, white cheddar – decadent! Braised lamb Bolognese w/Truffled Ricotta Gnocchi, Mixed Shrooms, Parmesan and Saba (reduced grape must – had to look that up too) – this was delicious! 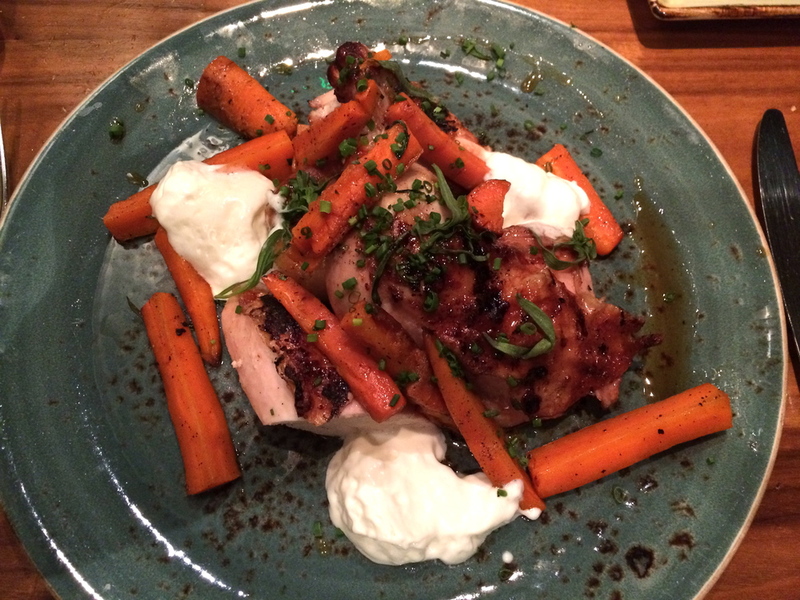 So I ate at Bol twice in one day – is that bad?? 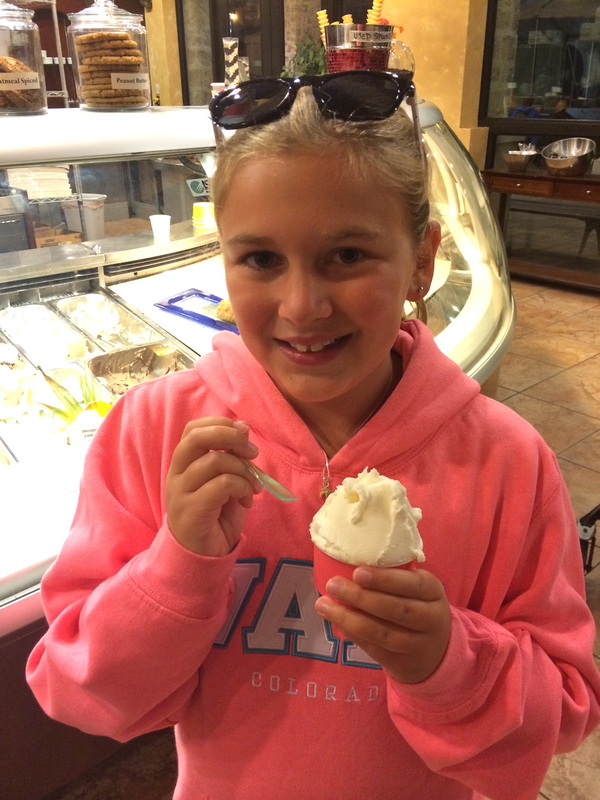 I visited in the afternoon with the Vail Valley Food Tour and went back that evening with the family for dinner and bowling. Except the bowling never happened cause it was rented out for the evening. 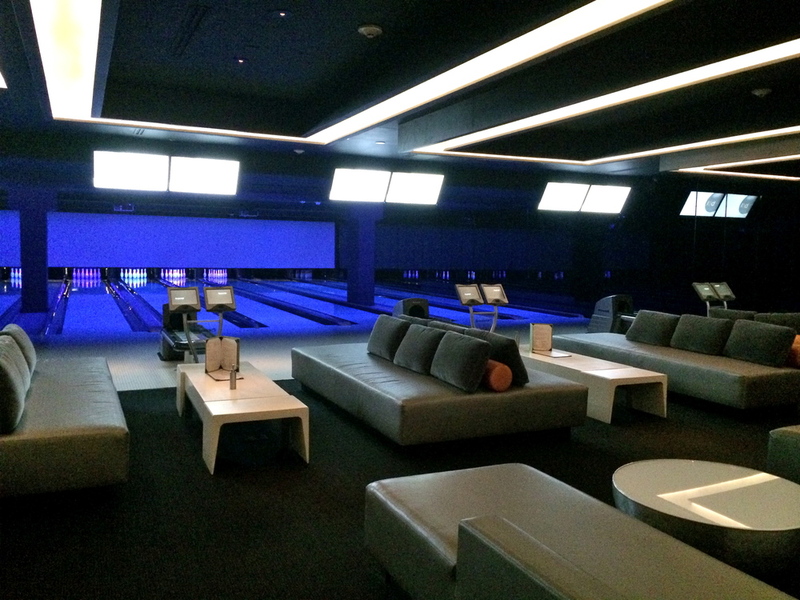 Secretly, I didn’t mind – even though the swanky bowling alley is very enticing with it’s Vegas style club seating and super cool lighting, I’d rather save the bowling for a rainy day. I was looking forward to a nice stroll around town after dinner. And what a dinner it was…oh my, oh my…our server, John, was excellent. He was friendly, attentive and had such great menu recommendations – he seemed as excited as I was for us to try the food – even bringing out extra sauces to try. “Try dipping your fries in this BBQ sauce.” mmm! 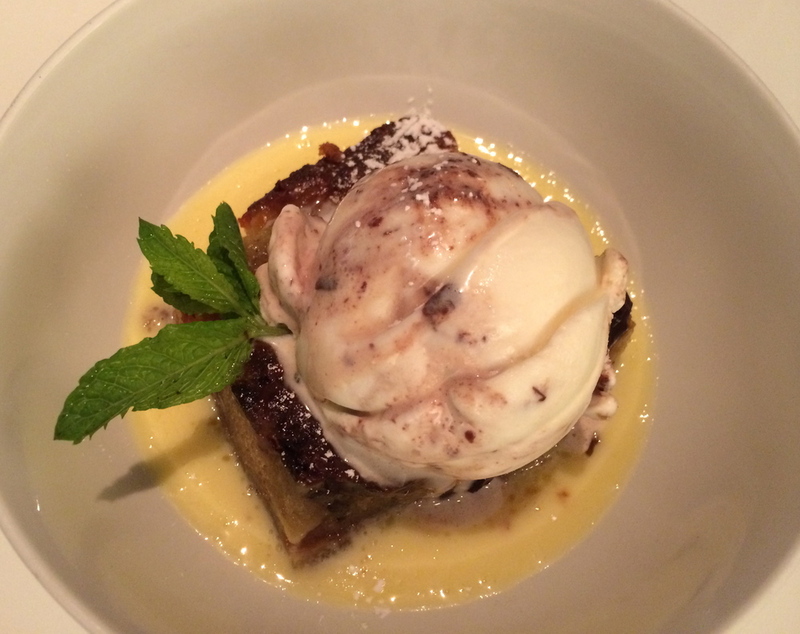 He told me that a woman once poured it over her vanilla ice cream – talk about your savory/sweet combo! 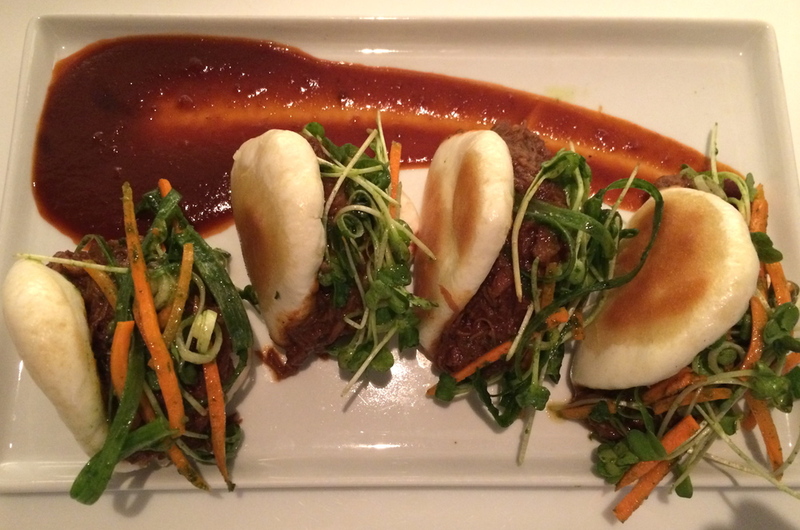 The vibe at the restaurant is modern and creative, but still very relaxed and friendly. Spicy Tuna Tartare – sesame lavosh, avocado, cucumber, tamari soy – John brought this to the table after I told him how much I loved the tasting of the tuna that afternoon on the food tour. 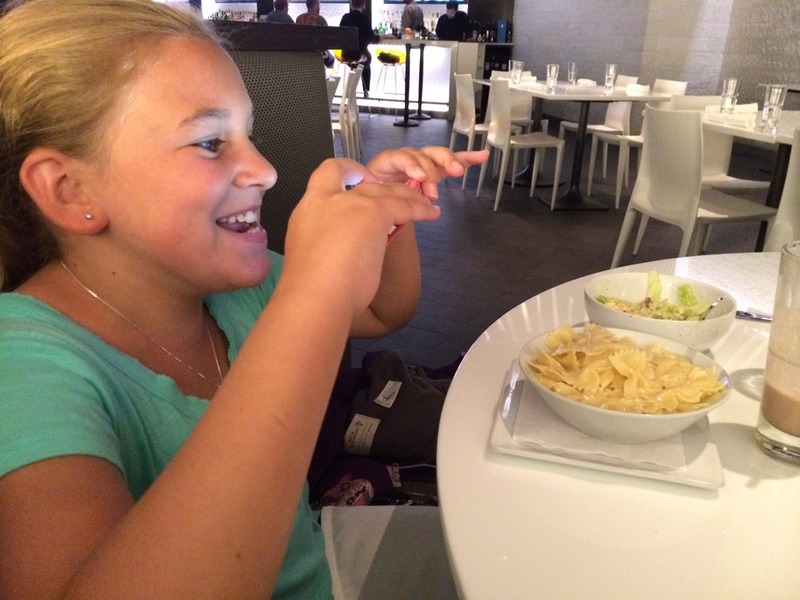 Sam, my oldest, even had some – her first tuna! We discovered this gem on our first visit to Vail. They make their confections in house. 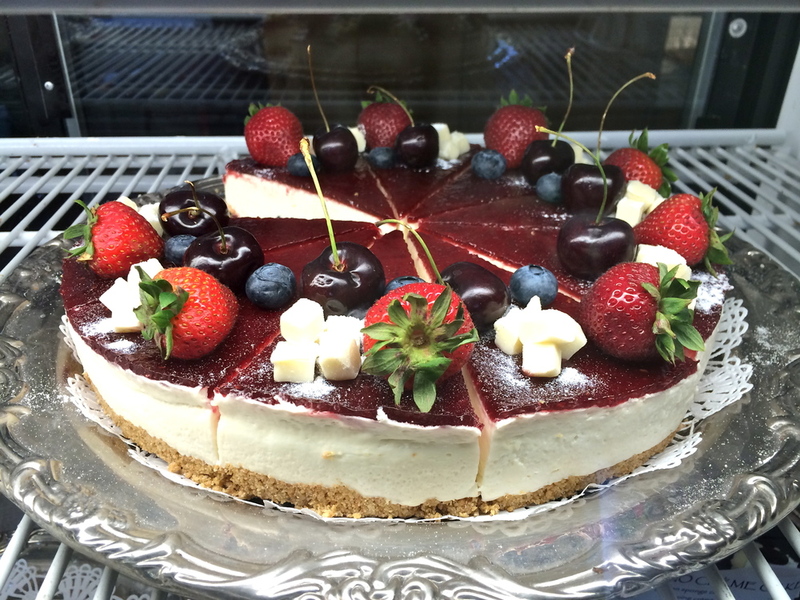 Perfect for after dinner gelato, gorgeous crepes and coffee. 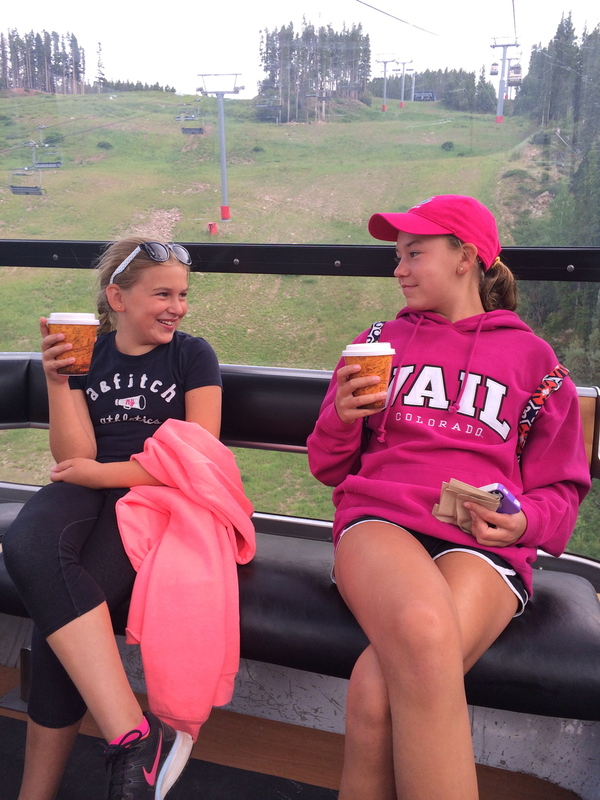 Great place to grab a hot chocolate for your gondola ride! Taken from a plaque at the entrance, “The name, The 10th, honors the legendary 10th Mountain Division of the U.S. Army. During World War II, the 10th Mountain Division trained at Camp Hale, south of what is now Vail, and later fought valiantly in Northern Italy. 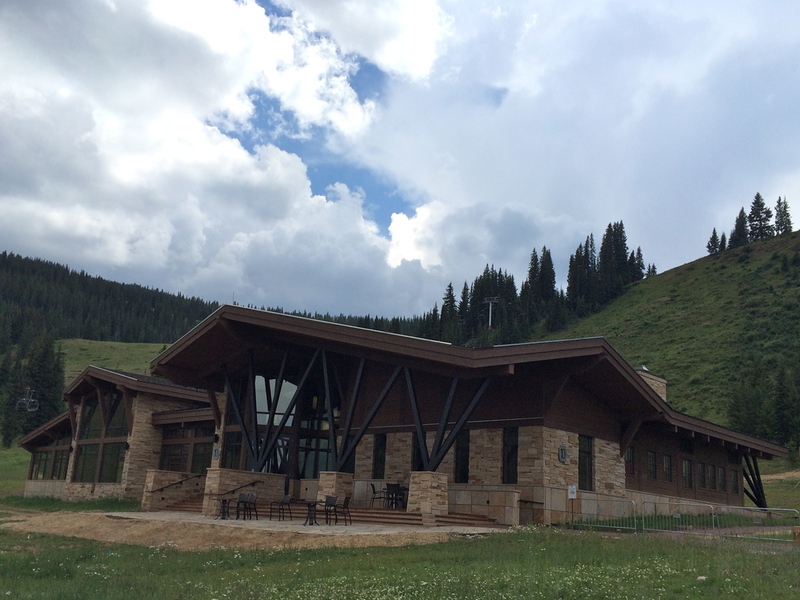 Following the war, members of the 10th Mountain Division, including several of Vail’s founders, became involved in the ski industry, leading and profoundly influencing the development of skiing in the United States.” The 10th is open for lunch on the weekends in the summer and is full service for lunch, apres ski and dinner during the ski season. 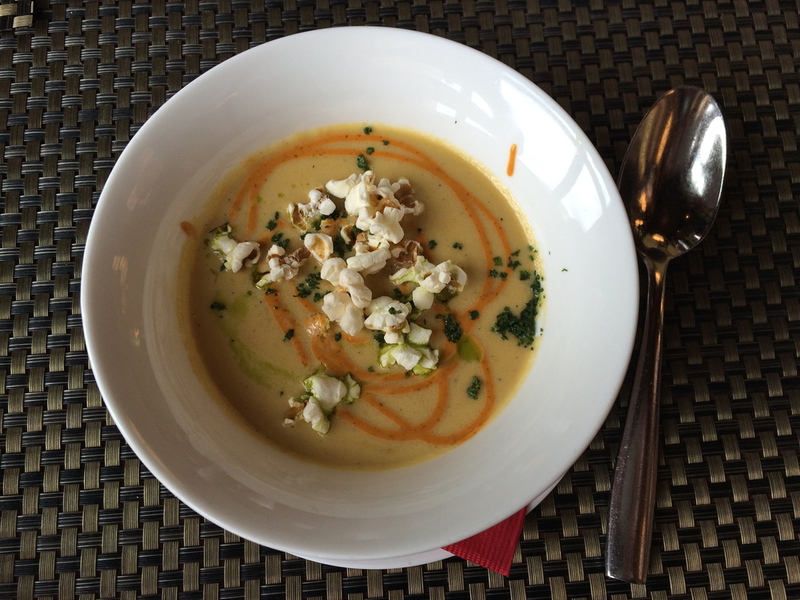 Summer Corn Soup – Corn Thyme Veloute, Smoked Chili Aioli, Popcorn – want some of this right now! 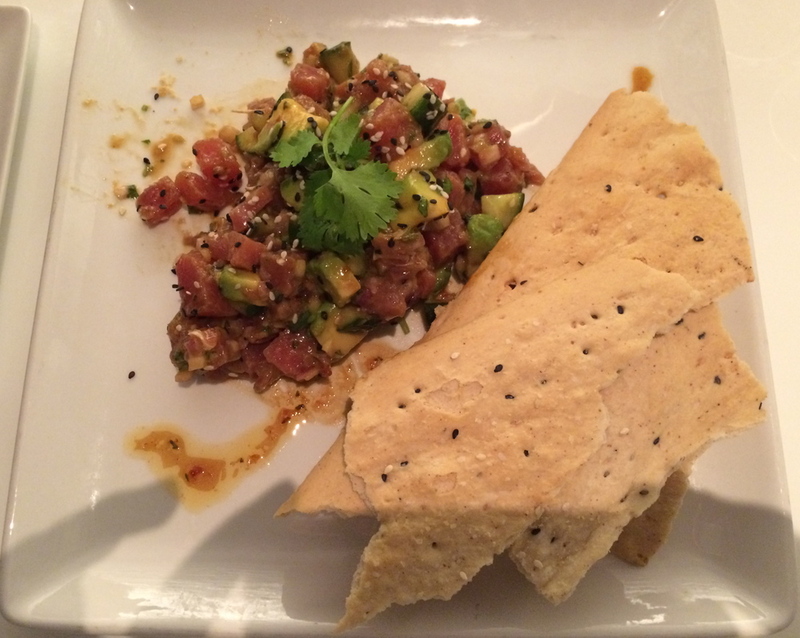 Everyone had a taste and loved it – need this recipe! 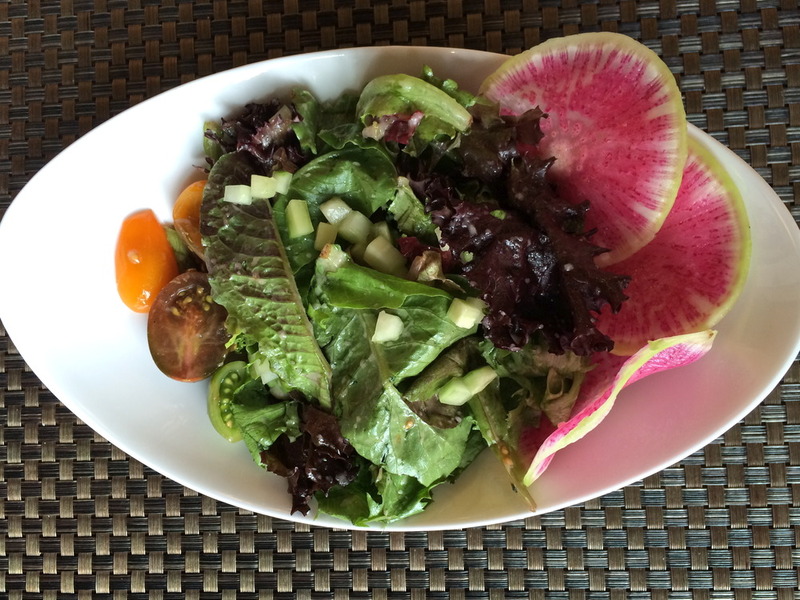 Simple Greens – English Cucumbers, Local Tomatoes, Radish, Caramelized Red Onion Vinaigrette – I had never seen or eaten that gorgeous watermelon radish before – stunning and very mild as far as radishes go. Bratwurst – Colorado Beer Braised Bison and Pork Brat, Caramelized Onions, Housemade Beer Mustard – Very tasty! Roasted Vegetable & Burrata – Tamari & Garlic Marinated Mushrooms, Red Peppers, Artichokes, Spinach, Carmelized Onions – This was delicious – loved all the veggies and the rich, soft burrata. Wagyu Burger – Crispy Tender Belly Bacon, Arugula, Cheddar, Tomato, Pickled Onion, House Pickles – Sam says this was better than my Bol burger – I call it a tie. 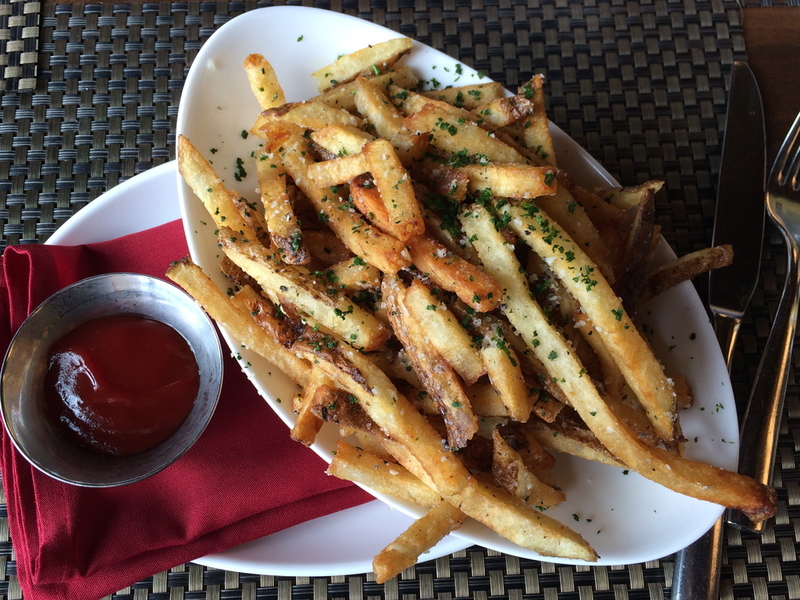 Hand Cut Fries with Black Truffle and Parmesan Cheese – We had all selected the fresh watermelon slices to go with our sandwiches – but these just appeared at our table, all hot and crispy and fragrant – would be a sin to let them go to waste! I like renting a condominium for vacation because you can eat breakfast in the comfort of your own little space in your jammies and we did just that every morning of our trip except for our last bittersweet day. 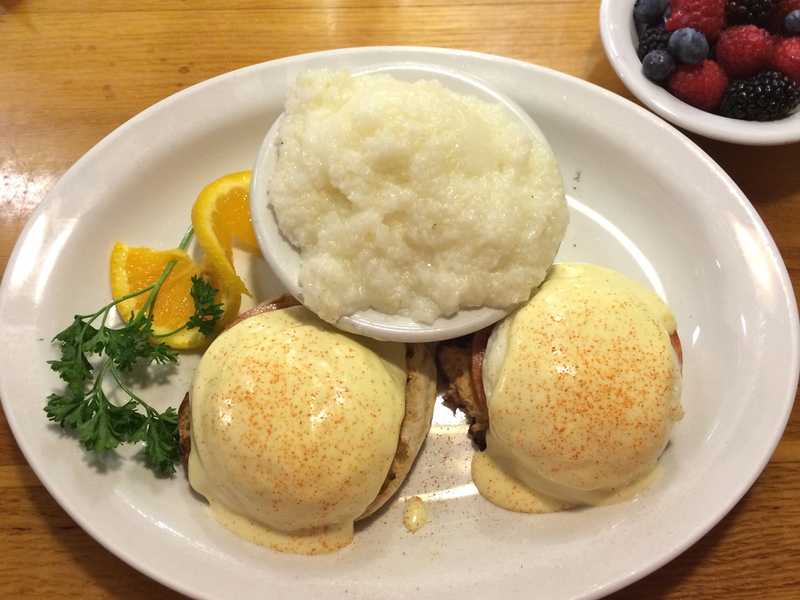 On that last day I was literally pushing the family out the door to go out to breakfast – a breakfast I had been thinking about for two long years! I could not wait a second longer for my return trip to The Little Diner. This little (literally, 20 counter seats, and also the last name of the owner) spot is usually bustling in the morning and most likely will have a wait. Do not under any circumstances be scared off by the wait – even if it’s over an hour – it is worth it – I promise! They have a little check-in system on a tablet at the front counter, you type your name and cell number in and they’ll text you when your table is ready. If you are staying close enough – just send one person over, in their jammies, to check-in – at least that’s my plan the next time! Brian, the executive chef and co-owner along with his wife Peg, blogs at The Food Brag and was super helpful with some local restaurant recommendations. If New Orleans is ever on my travel itinerary, I will be rereading his great post about his dining experiences in the Big Easy – mouthwatering! 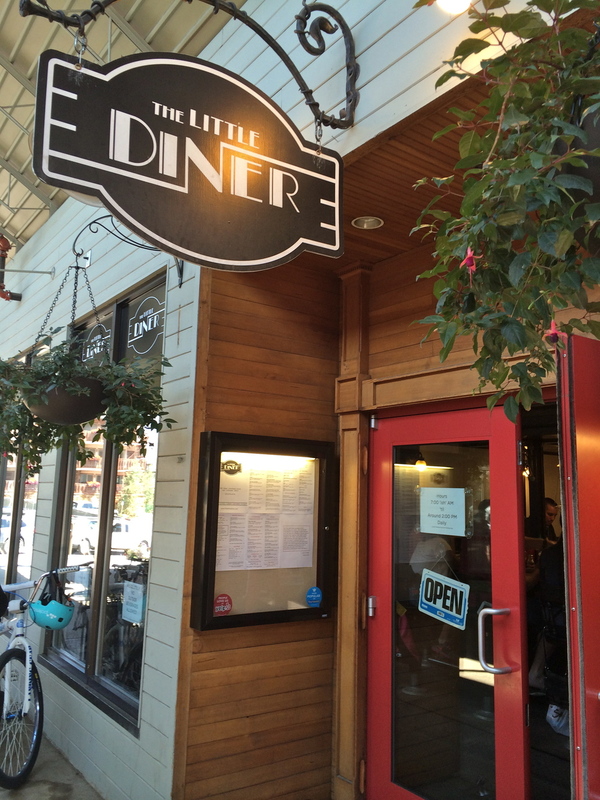 The Little Diner is warm, cozy and has a great bustling energy. You sit at a three sided square counter that is built around the tiny open, super-organized and immaculate kitchen. For me, it was like breakfast and a show! Watching the chefs cook our breakfast was so much fun. The way they cooked together in that compact space – it was almost like a dance. 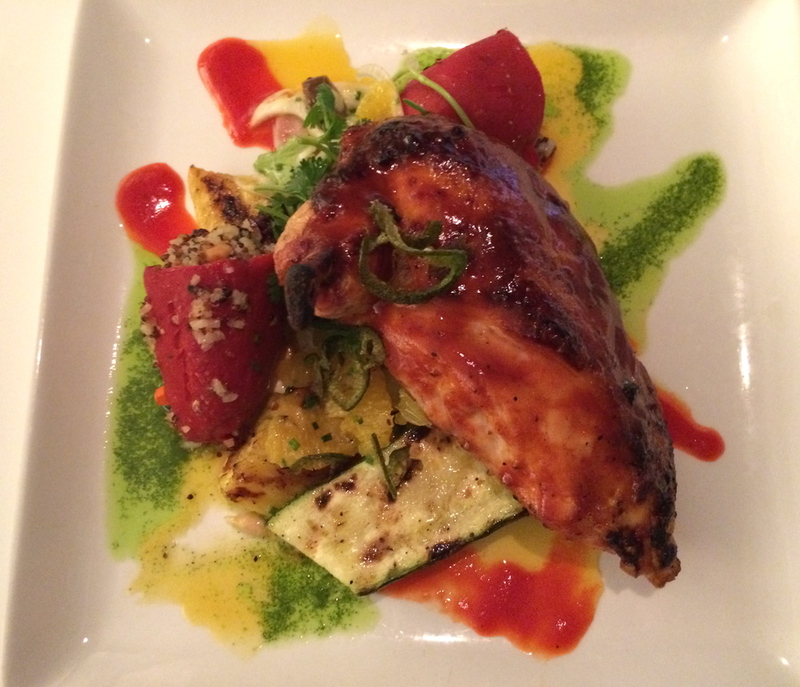 The food is classic home cooked fare – using family recipes and executed beautifully! Southwestern Omelet – Chorizo Sausage, Green Chiles, Cheddar & Jack w/hash browns – this is a winner! Lou loved it! 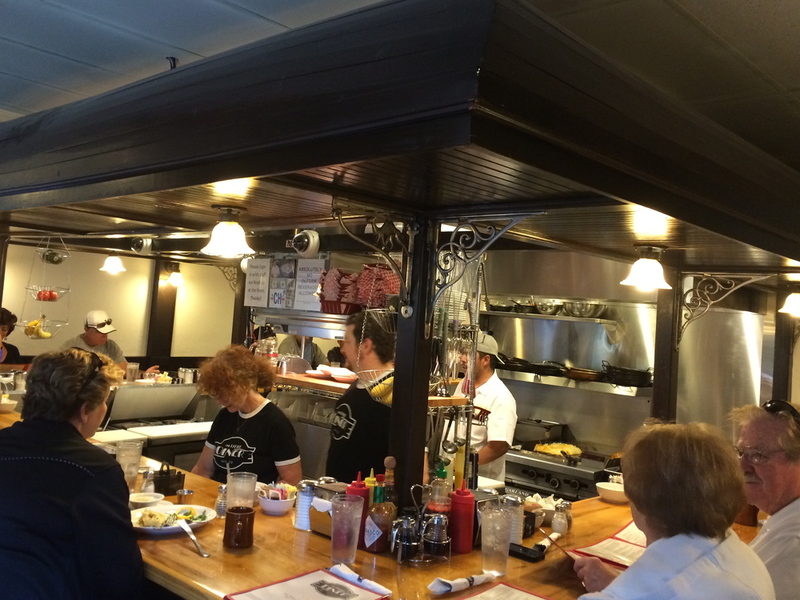 The Sam (Sam’s custom omelet, which she would like named for her on the menu – ha!) 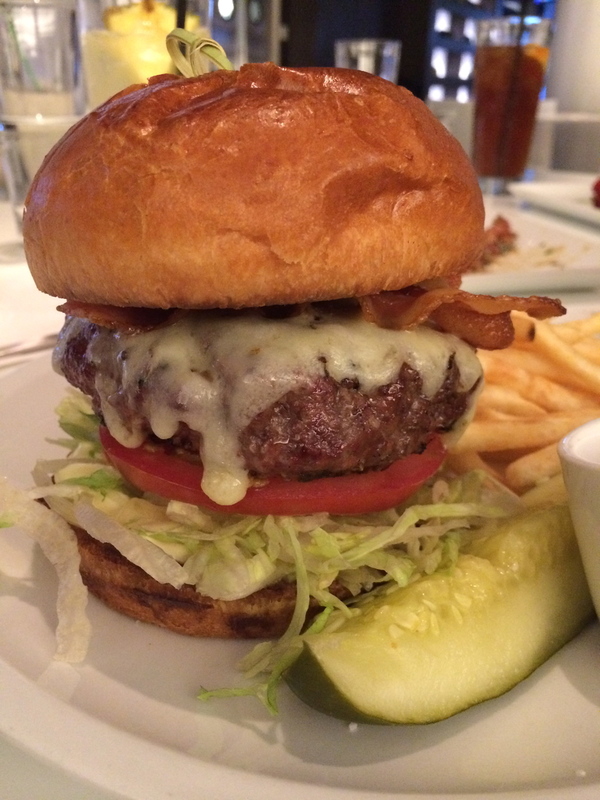 – Bacon, Spinach, Bell Peppers, American Cheese – She can’t believe she ate the whole thing! 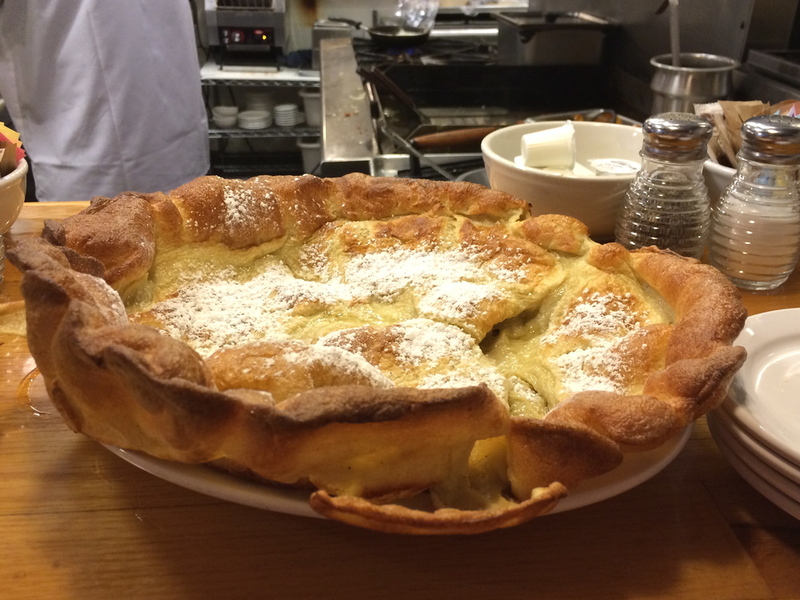 Pannekoeken (Dutch Baby or German Pancake) Baked to order, resembles a soufflé, popover or a sweet Yorkshire pudding. 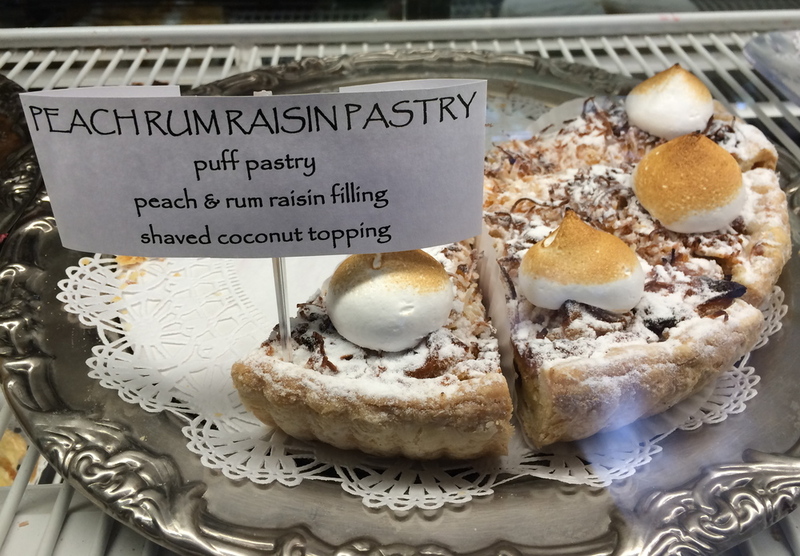 Served with lemon to squeeze over and some powdered sugar – Love, love, love trying something new and delicious! We all tore off hunks and devoured as much as we could! Oh my goodness did we eat well! 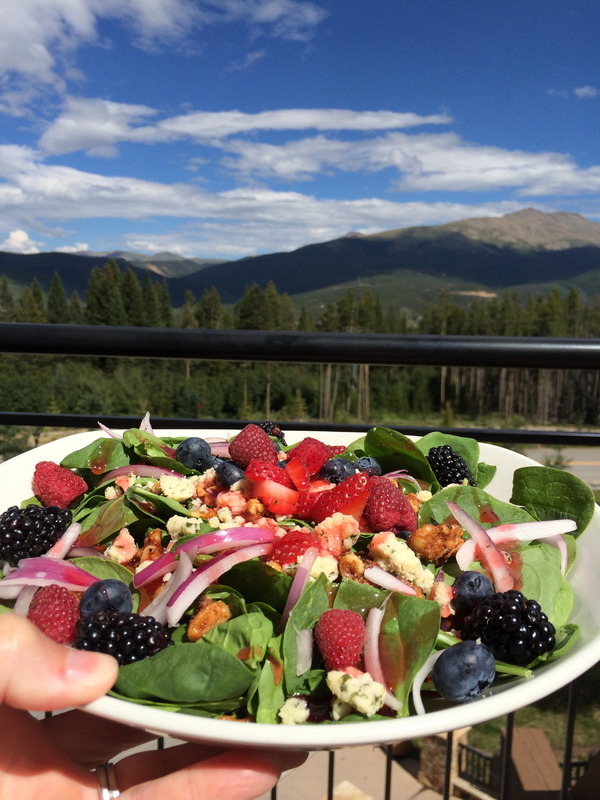 It’s a good thing Vail has so many opportunities to get out and be active with all the amazing eats that are available! 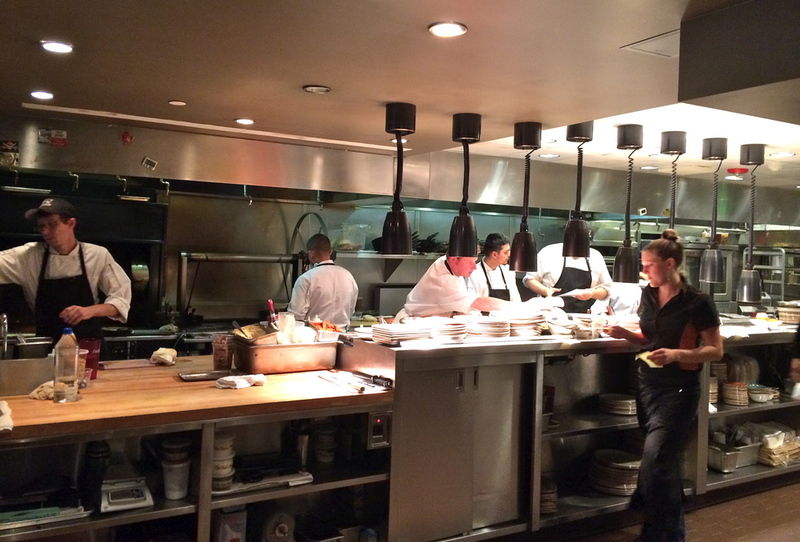 Thanks to everyone at the great restaurants we visited – your hard work was much appreciated! 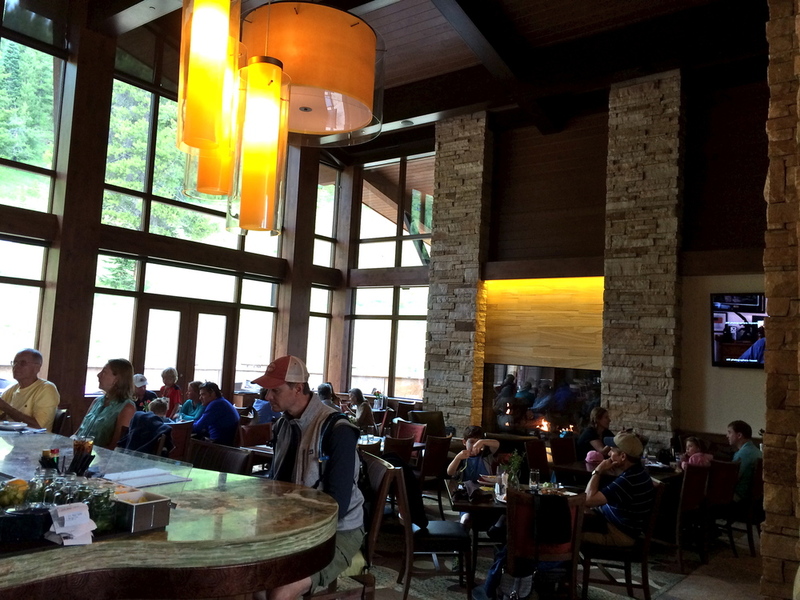 Also, thanks to Sara Lococo with Vail Mountain for her great restaurant recommendations and for lunch at The 10th. Thanks also to Rachel Zerowin (GoBreck.com) and Vicky Nash (Resort Trends) for the Breckenridge and Glenwood Springs suggestions. Stay tuned for my next post on our Colorado activities and adventures! « Judging The Great PhillyMag Cookoff! Oh boy….all of it sounds great fun ! 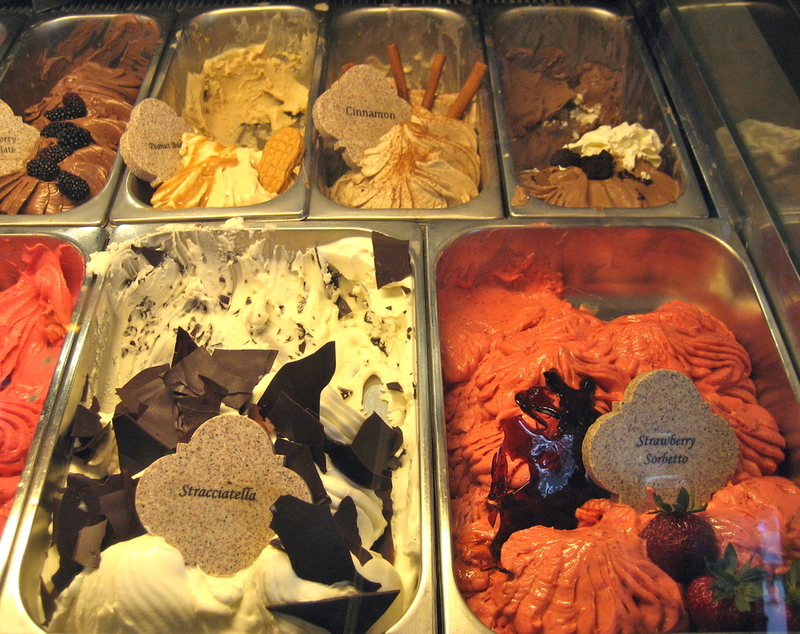 The gelato would sure hit the spot right now ! Great adventures ! Love the reviews! 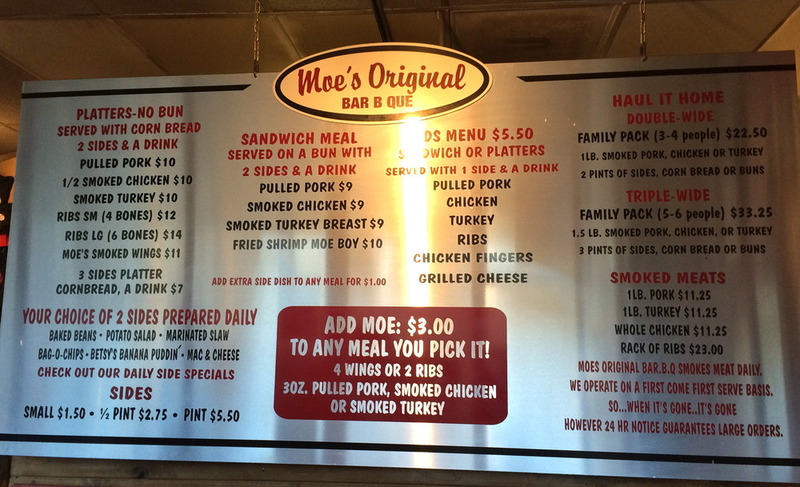 Did not know Moe’s was from Vail – looks like you found some places which we will have to go and try. Great pics too.